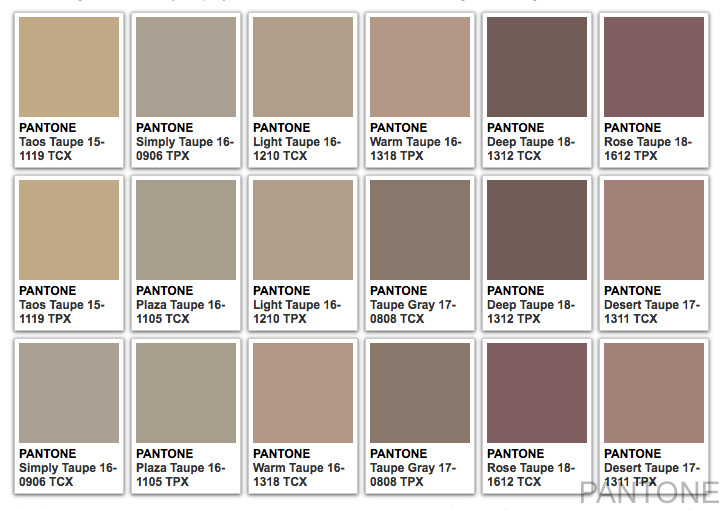 Taupe Color - What Color Is Taupe? Taupe is considered to be intermediate shade between dark brown and gray, which shares similar attributes of both colors. However, taupe does not describe a single color, rather, it is used to describe a vast range of colors from dark tan to brownish gray. Taupe is a neutral hue — neutrals are created by combining complementary colors (colors that are opposite each other on the color wheel) which results in desaturated brownish colors or mutes — likewise, taupe hues are achieved by mixing together umber and white pigment. The word, taupe, originates from the French word, taupe, and the Latin word, Talpa, which translates to “mole,” as it was primarily used to describe moleskin. 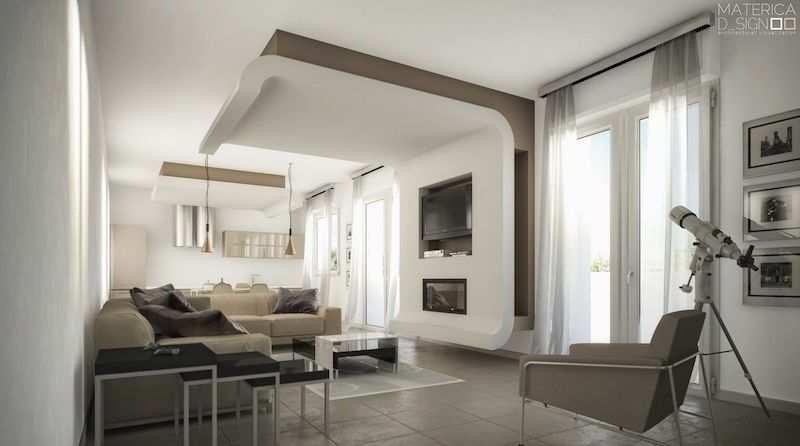 Notably, variations of taupe have appeared on the Pantone Color Trend Reports over the years. Recently, ‘Warm Taupe’ was featured on the Fall 2016 color palette. Taupe provides the perfect backdrop to complement and offset brighter colors. As for its most common applications, taupe is an incredibly versatile color that can be used in nearly every aspect of art and design, such as home decor, architecture, branding, and fashion design. When used in a color palette for the home — it pairs best with colors that keep it from looking dull or bland — the easiest way to determine this is to reference the color wheel. The complement of taupe on the color wheel is blue, while its split-complements are purple and blue. Split-complements are the two colors directly adjacent to a color’s complementary (or opposite) color on the color wheel. Moreover, taupe is a mute that is particularly useful in creating a palette of flesh tones for art and illustration. 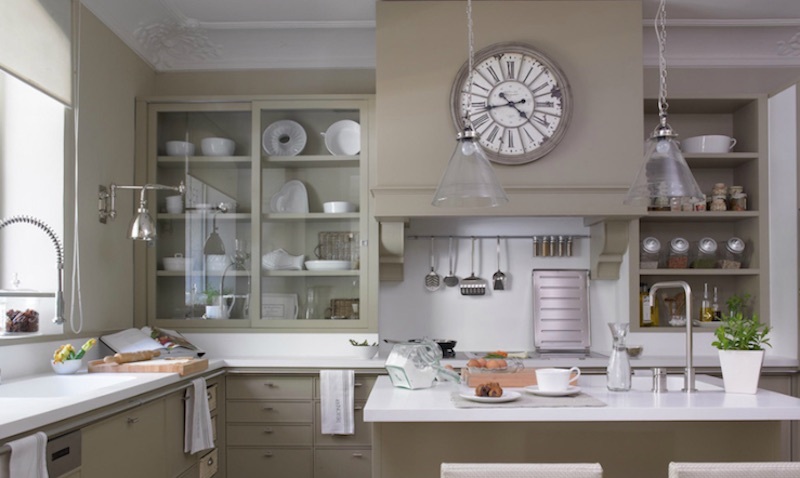 In fact, mixing other colors with taupe will create more subtle versions of the hues that do not have the full intensity of the original colors. Psychology of Taupe: Taupe is considered to be timeless, neutral, practical, basic, authentic, organic, and modest. The versatility of this color is due to its timelessness — taupe is not a trendy color, so it will never go out of style. Similarly, people who favor taupe are dependable, classic, and down to earth. These individuals tend to be very modest and avoid being the center of attention. Taupe – lovers fit in with just about anyone and their warmth makes others gravitate toward them. While it is rarely a taupe – lover’s idea to try something adventurous, he or she is always willing to come along for the ride! On the other hand, people who love taupe can be perceived as dull, unexciting, cautious, and conservative.